IDASO Data Collection provide a range of traffic data collection services from turning counts to origin destination surveys. Through leveraging technologies such as artificial intelligence and cloud based software solutions we have been able to collect data in an efficient manner and present it in user friendly formats in "Analyser" our data visualisation and analysis software. 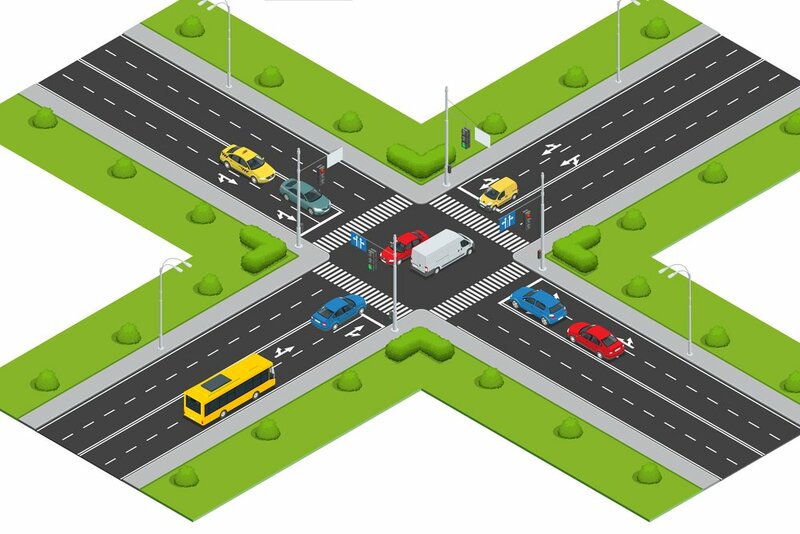 Traffic counts by turning movement and vehicle classification at intersections big and small. Junction counts are gathered through the recording of activity using miniaturised cctv systems and the video files are processed either through our A.I. powered tracking and classification engine "Auto Count", or through our computer aided manual counting software "Smarter Counting". Data is provided in excel based reports in the time interval of client choice. Data can also be viewed in our custom built analysis software "Analyser" to create data visualisations, flow diagrams, automatically identify peak hours among many other features. Through the use of industry standard pneumatic tube counters we collected data for extended periods delivering both volumetric, classification and speed statistic data. Not all site are suitable for this methodology and in these circumstances self powering miniturised cctv systems are used to record vehicular activity to be later automatically analysed through our A.I. powered tracking and classification engine "Auto Count" to delivervolumetric and classification data. In car parks, parking beat surveys can record the occupancy of spaces at regular intervals to produce a profile of the use of the car park and ascertain when the car park is most heavily used. The parking beat survey can be used for existing or new developments to justify the level of parking provision. Both off-street and on-street parking trends can be assessed. Parking demand in different areas or zones that are controlled and uncontrolled may also be assessed. It is possible for us to employ a range of different technologies to capture origin and destination data. Idaso provides both Bluetooth Data Collection or Automated Registration Plate Recognition (ANPR) surveys depending on the project requirements. Whether for retail, event or infrastructure planning, footfall data can be invaluable, Idaso collects data on volumetric flows, demographics, behavioural data of pedestrians in both interior and exterior environments.